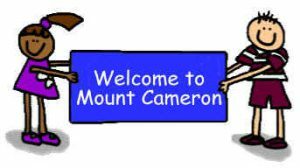 Welcome to the Mount Cameron Primary School website! Please note the new School Handbook (2019) has been made available for viewing and for download through the website. The document is in pdf format and can be found on our About Us page, or our Teachers page.. The tables at the following link South Lanarkshire school holidays show the school holidays in South Lanarkshire for school session 2018/19. The provisional holiday dates for 2019/20 can be found from the link below. Please note that these dates are subject to change and are still to be approved. The in-service dates are still to be confirmed. South Lanarkshire Council’s Quality and Standards Report 2018 (pdf) for Mount Cameron Primary. Our Establishment Improvement Plan 2018-2019 (pdf) for Mount Cameron Primary. These files along with all other documentation will be available to view and download on our website throughout the coming school year. To view and download these files please go to our ‘About Us‘ page. This website © 2015 - 2019 Mount Cameron Primary School. All rights reserved.